Amélie est sur une pièce importante du temps dans la vie d'une jeune femme. Amélie Poulain a grandi avec une mère froide qui meurt quand Amélie est jeune et d'un père impersonnel. Amélie ne va pas à l'école en raison d'une «maladie du cœur» qui n'existe pas, et à cause de cela, elle grandit solitaire. Quand elle est plus âgée, elle sort et commence à travailler et à un bar. Un jour, elle regarde la télé et il est annoncé que la Princesse Diana est morte. Amelie tombe une casquette et il frappe ouvrir une brique en vrac. A l'intérieur du trou dans le mur est une boîte en fer blanc avec des pièces anciennes et Amélie décide qu'elle va donner à l'homme derrière ses articles. Cela commence son attitude d'aider tout le monde autour d'elle. Elle fait tout, de la création de romans pour la défense de ceux qui sont victimes d'intimidation. En aidant les autres, elle devient meilleure et trouve son seul et véritable amour, une autre âme bizarre. 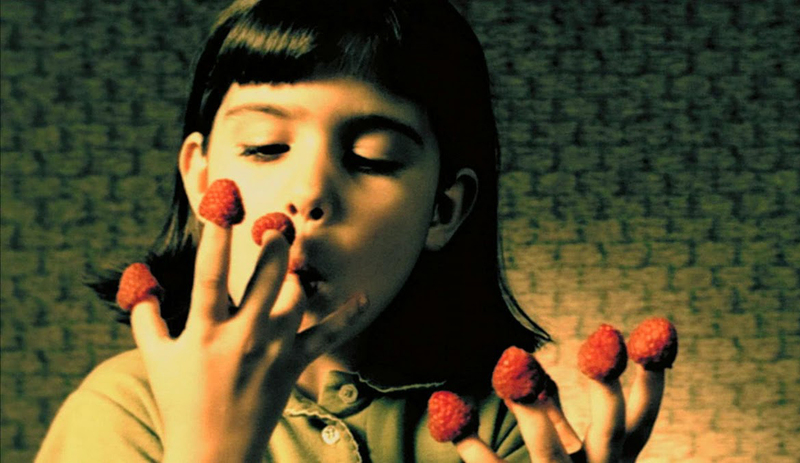 I loved Amélie. It was kind of difficult to get used to in the beginning, as it has its own very unique pace. 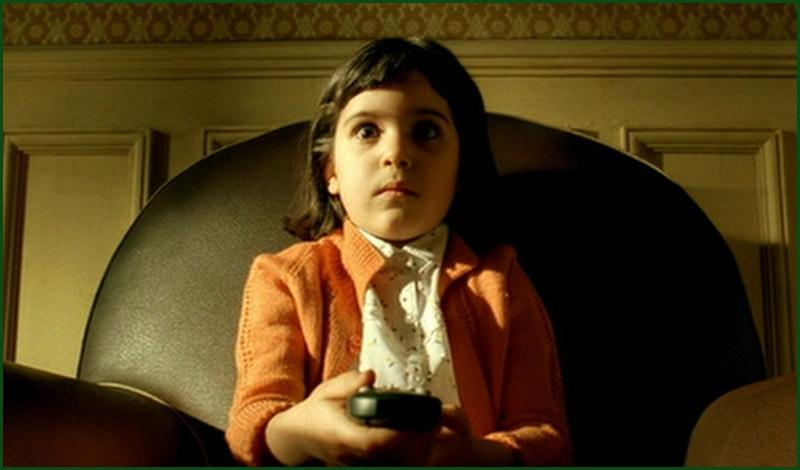 Amélie seems almost unreal in the beginning, a sort of distant person, very alienated from society. She is extremely imaginative because of this alienation and has created her own little world, something that is both beautiful and terrifying. The movie was very interesting for many reasons. It was sweet without being sugary sweet, it was a love story without being all about romantic love, and it made the world seem like a little better of place while still being realistic. One of the most interesting parts is the lack of time. It is almost always day (I do not remember any scenes with night, other than when she is in bed) and that with the combination of confusing, yet wonderful, editing gives it a feeling of endlessness. I would recommend it to almost anyone. It has some more mature subject matter, but the scenes are so short you could just cover a child's eyes for the 5 seconds of scandalous actions. Other than the brief seconds of adult subject matter, it is extremely lighthearted. It is very easy to watch, meaning both that it keeps your attention and that it does not leave you feeling heavy after. You become so emotionally attached to all of the characters, even though most of them you only have a minute introduction and then 5 minutes of screen time with them. It was extremely fun to watch and I would watch it again in a heartbeat! 1. One of the things that I noticed as soon as the movie began was the choppiness of the scenes. It was mainly shown during the introductions of the characters, during which the narrator would state the characters name and it would proceed to flash images that described the person. Her imagination often contributes to the choppiness. Also, it is shot on location and has no clear climax. 2. Color, light, camera angles, and surroundings all play key roles in Amélie. The film has very bright colors, all typically primary. Every so often it changes to black and white, disrupting the flow. There are almost no shadows, with the exception of the mean vegetable salesman's room, which also has dark colors. The camera is typically at strange angles, creating a fantasy and unreal feeling. The surrounding are often one base color, such as Amélie's room being all red or the grocer's being all green. All of these add the storybook feeling of the movie. 3. There are many themes or lessons that could come out of this movie. The main one that I got out of the movie was about effort. Amélie wanted to do something fantastic, like helping the world, but she didn't decide she was going to protest or change anything big. All she did were little acts of kindness that brightened people's day and made their lives a little more enjoyable. It shows how little things, along with imagination, can help others in bigger ways than we planned for them to. 4. Amélie felt extremely french as I watched it, from the music to the style, but one movie gave me a slightly similar feeling as I watched it. 500 Days of Summer also has an endless feel to it and creates an ethereal feel. They accomplish these through different means, but both are on the light side and very interesting.